Hewlett Packard frequency doubler. 100 - 2600 MHz out, 50 - 1300 MHz in. Max input power: 26 dBm. 50 ohms. Conversion loss < 15 dB (+13 dBm input, 50 - 1200 MHz). SWR 1.5 typ. 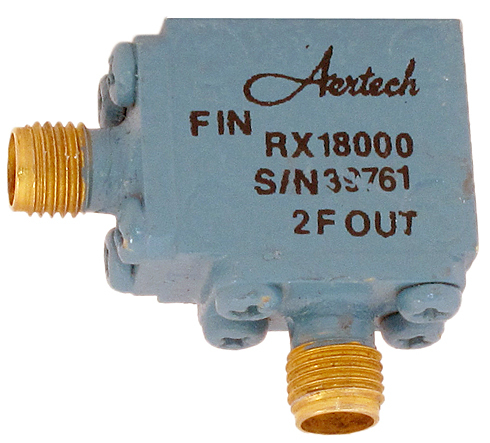 "N" male / female connectors. Source: Bogdan. 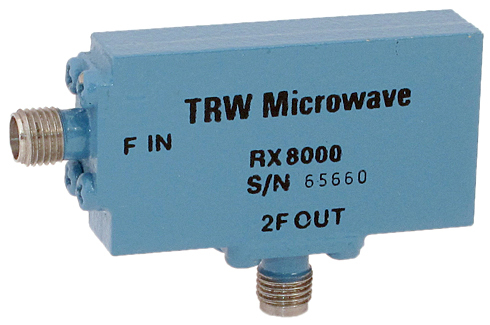 Marki Microwave frequency doubler. "SMA" connectors. 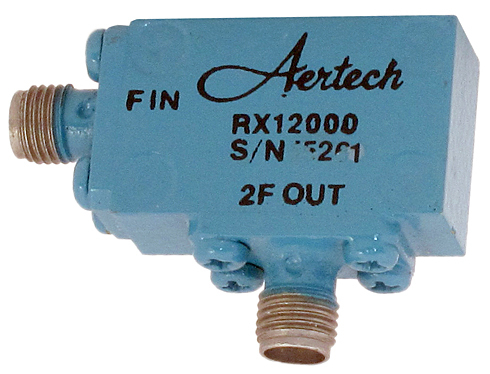 Aertech / TRW frequency doubler. "SMA" female connectors. Dimensions: 1.628" x 0.880" x 0.379"
Dimensions: 0.633" x 1.092" x 0.376"
Dimensions: 0.635" x 0.761" x 0.375"